Thank you for considering our church family. We do not take the word “family” lightly. Our church family believes strongly in the biblical model of the Body Of Christ as described by the Apostle Paul in First Corinthians 12. When one member suffers, we all suffer, when one member rejoices, we all rejoice. Likewise, we all have gifts that differ according to the grace God has given to us. If one member is not using his or her spiritual gifts, then the body is not functioning properly. For that reason, we place a particular emphasis on Discipleship and discovery of spiritual gifts. Since you are new, here are a few common questions that you may have. We believe that there is one true and living God, expressed as the Holy Trinity. He lives in three persons: the Father, the Son, and the Holy Spirit. We accept the Holy Scriptures of the Old and New Testament as primary and authoritative, “containing all things necessary to salvation,” and as being the rule and ultimate standard of our doctrine, faith and morals. To read our complete Statement of Faith, please click here. Our Sunday morning worship & Eucharist service starts at 9:30AM. After the 9:30 service, we have Adult Education for all ages. Nursery service is available for kids five and under for the entire Sunday morning through the end of adult education. Wednesday night activities start at 6:30pm with a pot luck dinner. At 7PM, the adult bible study begins, as well as children’s activities for all ages. At 8:15pm we conclude the evening with an informal Holy Eucharist in the sanctuary. Other scheduled events are noted on the website in the events area. Our worship is lively and authentic. Jesus said that “the time is coming, and now is, when the true worshipers will worship the Father in spirit and truth, for they are the type of worshipers the Father seeks” (John 4:23) We seek to worship our God in such a way. We combine the rich liturgy of the apostolic tradition with biblical preaching and a blend of traditional and contemporary music. Holy Communion is central to our spirituality and we believe it is important for us to partake of this sacrament each time we gather together for common worship. It is our means of becoming one with our Lord Jesus Christ. Because we seek to foster worship that is spirit-led and genuine, we encourage members to express themselves in worship authentically. You may see some kneeling, some standing, some raising their hands, some with heads bowed or hands crossed. There are a variety of symbols and expressions of worship that can be genuine means of worshiping the Triune God. The key is authenticity and not conformity. We respect each person’s desire to be genuine in his or her expression of worship to our God, as long as it is not disruptive or distracting to the flow of common worship. When you arrive at the church doors, you will find two writing stands just inside the entry doors. 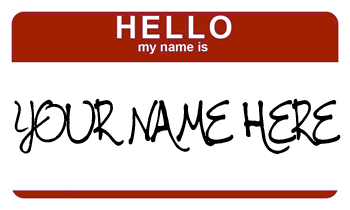 We encourage each person to wear a name tag so as to immediately feel a part of the family and be on a first name basis with those around them. There will be greeters to welcome you, direct you to the appropriate location for worship or education and hand you a worship bulletin. If you need directions to our church, please visit our directions page, which will give you photos, maps, and driving directions. I don’t know much about the Bible; can I still come? Of course you can. 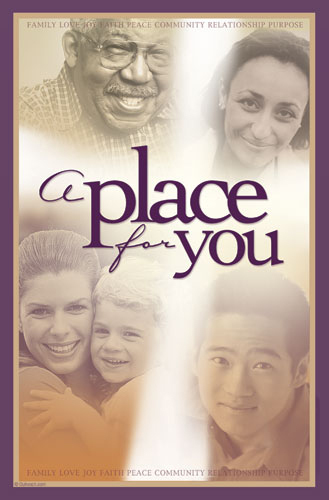 God’s word is for everyone – from those who have memorized large portions of the Bible, to those who have never read it. You will most likely find a warmth and comfort level at Christ the Redeemer you never thought you could at a church. And you will be in an environment where you are encouraged to ask questions about the bible. Our bible studies are very interactive and practical so as to help each person more fully understand the mystery of God’s Word. Come learn with us as we allow God’s Word to transform our lives! Our children’s program is strong and growing. For elementary age children we have a strong Sunday School program with dedicated teachers. Christian Education for elementary school students begins after the 9:30 AM service. Upper and lower elementary school students proceed to their classes at this time. Junior High and High School teens have middle school and high school youth groups after the service. All children not of nursery age remain in the worship service so that they may participate fully as adults and receive instruction in God’s word during the time of the sermon. On Wednesday evenings, we again have programs for children of all ages. We also have a set of safety protocols covering children in our church service and our church area. You can read these protocols here. For children five and under, we have a nursery with trained and screened nursery workers to care for your precious ones during all of our worship services and most church activities. There are toys for them to play which are sanitized regularly. We have two nursery rooms available to separate toddlers from infants. Clothes! But it really doesn’t matter what you wear. Jesus didn’t care what you wore, and neither do we. When you come to one of our services, you will see all different kinds of dress. Some people will be in their best suits and dresses, and others will be in jeans & T-Shirts. We don’t care what you wear when you come to Christ the Redeemer – we just want you to come be a part of our family and feel comfortable with us however you are dressed. You can call our church office, which is open for regular office hours on Monday through Thursday from 9AM to 3PM at 972-475-4447. If you need to contact us during times after that, you can email the office at office@rowlettanglicans.org, which will give you a response within 24 hours in most cases. You can also use our “Contact Us” form, which will let you submit a prayer request to our clergy if need be.